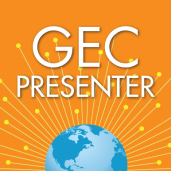 Please join us for the Global 2013 STEMx Education Conference, the world’s first massively open online conference for educators focusing on Science, Technology, Engineering, Math, and more. The conference is being be held over the course of three days, September 19-21, 2013, and is free to attend! STEMxCon is a highly inclusive event designed to engage students and educators around the globe and we encourage primary, secondary, and tertiary (K-16) educators around the world to share and learn about innovative approaches to STEMx learning and teaching. More information at the conference website, http://www.stemxcon.com. I’ve taught 5th grade…10-11 year olds…for many years. It is amazing the talent there is in such young kids. You have to hear this. Akira, yes…and she’s 10. What a great way to begin the school year for my class. 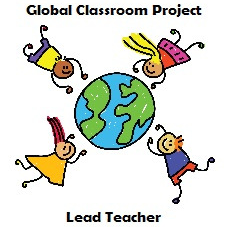 Here is a reflection from The Global Classroom Project. Two weeks ago, the world marked “International Dot Day“, a global celebration of children’s creativity. We thought we’d share some of their creations with the wider #globalclassroom community. And via Betsye Sargeant (@PhoenixSchool) we have a funny video & a great VoiceThread. You can read their blog post here. Click on the image to hear Phoenix School students sharing their creations. The Compassion Games have begun! Mission #1 is posted. What a great opportunity for us to teach and learn compassion with our students. Several people have asked how to play the kindness mission compassion game being coordinated here as part of the Compassion Games that begin tomorrow. It’s simple! Each Friday, I’ll release a kindness mission for you to complete within the following week. You can find the mission by visiting this site or by subscribing to the RSS feed. You’ll also see links to the mission elsewhere, on Facebook and Twitter, and likely forwarded via email. You don’t need to sign up to join in the fun, nor is there “work” for you to do other than what you’re drawn to do. If you care to comment in response to a mission, feel free to use the comments section at the bottom of each mission.